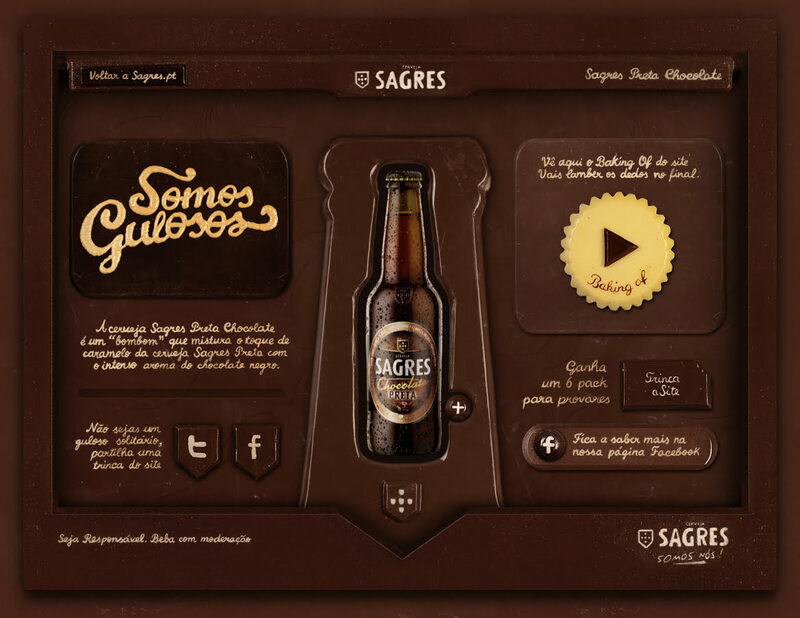 Somos Gulosos were launching a new chocolate stout and to go with the launch their digital agency agency came up with the idea of creating a chocolate website to publicise the launch. There’s that great idea. So you move to step two, production! And that starts of very well. Have a gander at the embedded below to see a master chocolatier take the designs from the agency and create all the websites components in scrumptious chocolate! And when it was all going so well, the agency flung in a social competition to win a bite of the website and a 6 pack. Great engagement for the brand and i hope that he company has sold a lot of beer that way. First the technical perspective. The site is in Flash. Now I could go on about the demise of Flash as a web solution. I could go on about how it’s holding the web back and only really used for advertising (As a side note, ever gone browsing on an iDevice and noticed that the lack of Flash support makes for a less intrusive internet experience? Just sayin’.). But what disappoints me more is the fact that the studio didn’t push for a HTML5 + CSS3 + Java Script based solution. All of the animations, the pre-loading of the images, could all be handled by technologies that support all devices and connection speeds and would have made for a richer web experience. Not to mention it would have helped with the SEO. And now the bigger problem, the aesthetic. This is where the great idea, falls down (I stress, this is my opinion). The look of the chocolate seems lacklustre. Its clear that it is chocolate, but lacks the depth to really make you feel you’re using something made of chocolate. The images are flat, and it could have been crafted in Photoshop / Cinema 4D or Modo. I think it may stem from the fact that the site is placed on a background of brown, there is no ‘real world’ link. Perhaps if the site had been set on a chocolatier’s table it would be the look that would make it tangible. Also it could have been considered that using a hand to come in and move a part of the site, rather than the stop frame style animation would make it reeler. Dont just take my word for it. Here’s the site. To get in, click the left button and then the bottom right one.